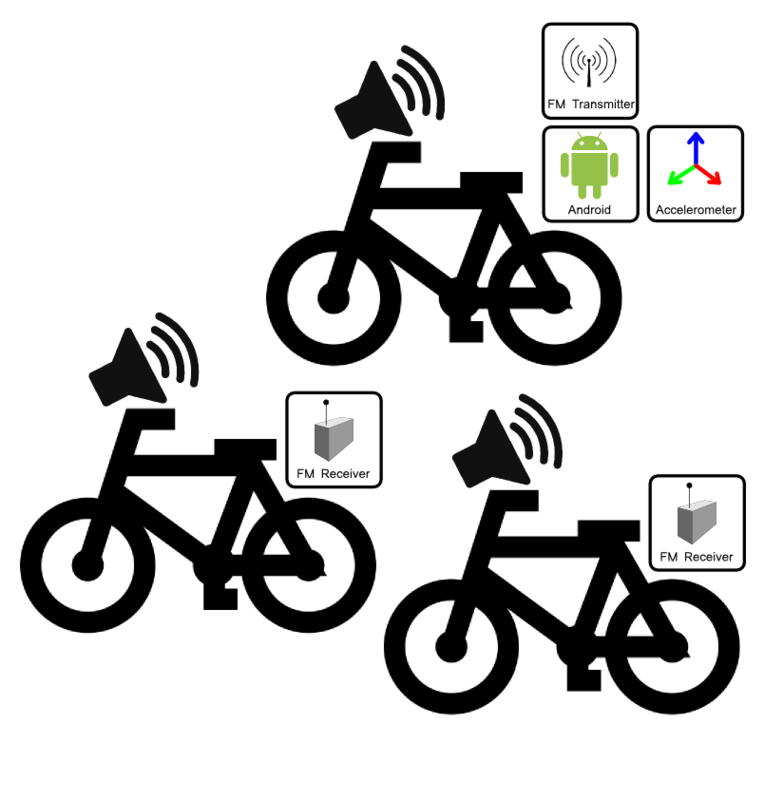 [Continued from part 1] On day one, after we introduced the project and the themes we wanted to explore, Ryan Jordan had a great idea of how to prototype the bike-bike communication using FM radio transmissions. 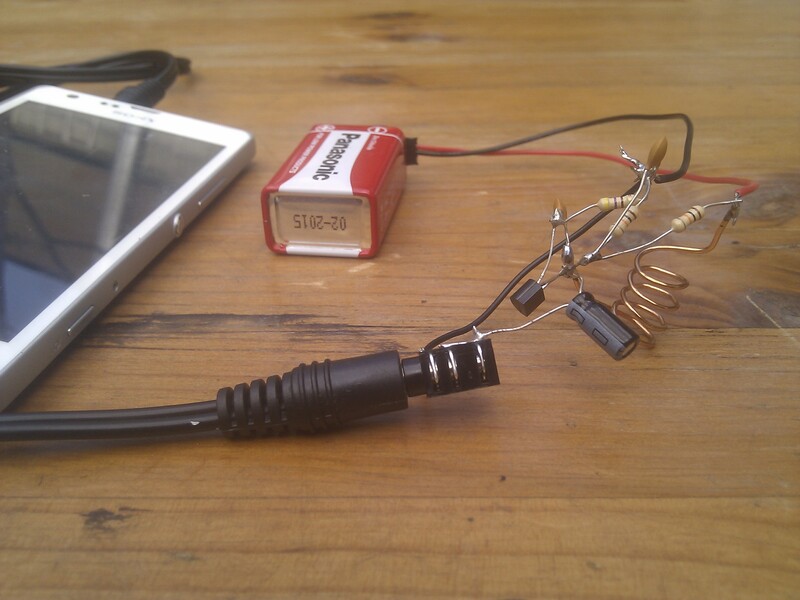 He quickly freeform built a short range FM transmitter powered by a 9v battery. The result was that the vibrations and movements of a rider were being transmitted to the other bikes for playback, including lots of great distortion and radio interference. 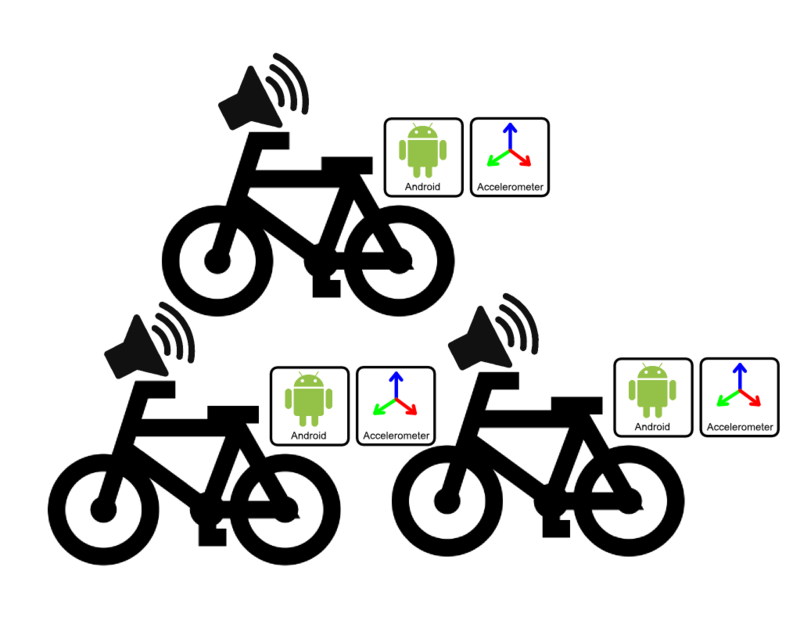 As the range was fairly short, it was possible to control how much of the signal you received – as you cycled away from the “source cyclist”, static (and some BBC radio 2) started to take over. We needed to tune the sensitivity of the accelerometer inputs – as this first attempt was a little too glitchy and overactive, the only changes really discernible were the differences between the bike moving and still (and it sounded like a scifi laser battle in space). One of the great things about prototyping with android was that we could share the package around and run it on loads of phones. So we went out again with three bikes playing back their own movements with different synth settings.